Always wanted to get your hair cut and coloured in Japan? Or fantasized about having the cute nails every Japanese girl seems to sport? We present a quick guide on getting a makeover in Tokyo, the capital of trendsetters and fashionistas. Well known for offering the latest hair treatments, technology, styles and colours coupled with top-notch service, it’s no wonder more foreigners are paying hair salons a visit when they travel to Japan. Here’s how you can achieve that effortlessly trendy hairstyle even if you don’t speak the language! Traditionally called 美容院 (biyōin), the usage of katakana for hair salon (ヘアサロン, pronounced as it is in English) has increased over the past years. If you decide to take a chance and visit one of these establishments, these are some of the words you may need to know. You can also point to the phrases below if you don’t feel confident saying them out loud. 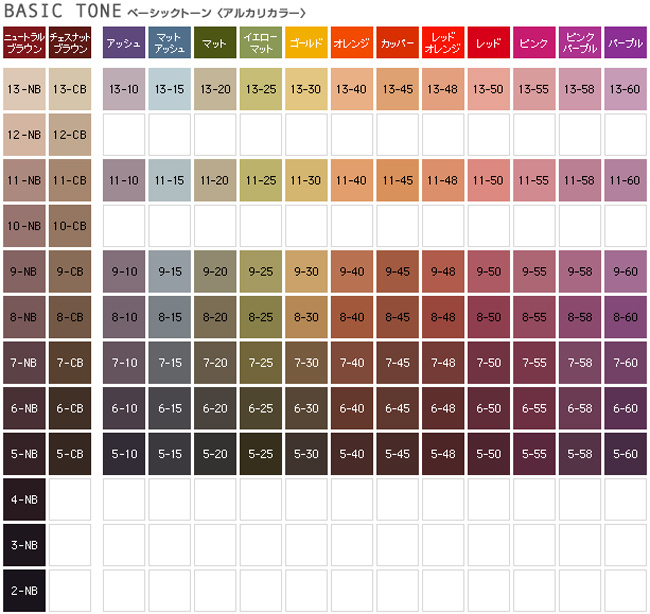 ★ Please colour/dye it ~ (～に染めてください, ~ni somete kudasai)　⋆Refer to this helpful colour chart. ★ Hayato Tokyo – At this salon, stylists have been trained in New York City for more than two years so they are fluent in English. Aside from that, the pros here are used to working with different hair textures and known for their shampoo skills. ★ ASSORT – With two salons opened in New York, one in Hong Kong, and three scattered around the trendy areas of Tokyo, you can be assured that the stylists are equipped with all the skills to give you a great haircut. ★ Sozo Hair & Make – Located in the trendy Omotesando area, this salon has served many a foreign model and celebrity and specialises in men’s hairstyles. They have a special English reception to take reservations, and even a mini art gallery in-store too. ★BULB – With a great tagline that states “Hair-styling doesn’t have to be lost in translation”, you can be certain that the team at Bulb understands what you want and delivers exactly that and more. Aside from looking up the most suitable hair salon or stylists, do also check out the latest styles, hair trends and colours. #Tip 4 – Reserve online & get discount coupons too! How to reserve on Hot Pepper Beauty: click on button to fix an appointment! Many of the hair salons in Japan have discounts for first-time customers, so do check with them on existing campaigns when making your appointment. On Hot Pepper Beauty, you can reserve the date and time for your haircut at the selected salon and even pick your stylist based on the type of coupon you choose to use. An increasing number of beauty salons are starting to build up a full range of manicure/pedicure services within their compound, so see if you can cop an appointment which gets you a gorgeous new haircut and a set of pretty nails to go with it! Jill & Lovers – Frequented by local celebrities, this nail salon has a huge variety of designs to fit every girl’s desire. Nail Mix – This place runs numerous promotional campaigns, including one with all-you-can-add embellishments and nail-art at just 5,900 yen (S$78~). Shell Nail – Found near the JR Yokohama station, this salon prides itself on its simple yet oshare (オシャレ, stylish) designs which are perfect for young working adults. Most people may be nervous about visiting a salon overseas, but rest assured that Japan’s famous omotenashi extends to their beauty salons, so if you’ve done all your homework right, just sit back and enjoy the experience as well as your new makeover! *Feature image taken from Getty. Wow nice article thanks for sharing this i have realy enjoy this.